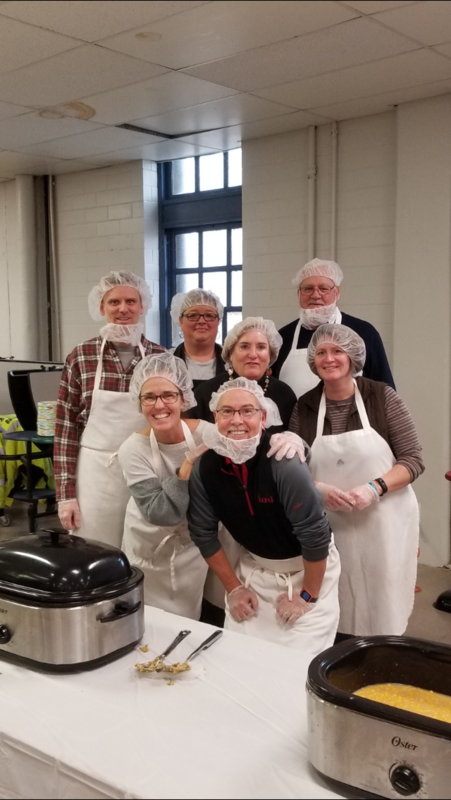 On Wednes­day, Novem­ber 21st, a group of City of Mar­i­on staff ded­i­cat­ed their time in serv­ing food for the needy to spread hol­i­day cheer and the spir­it of Thanks­giv­ing. This took place at the Grant Coun­ty Res­cue Mis­sion. The com­mu­ni­ty ser­vice is becom­ing a tra­di­tion for City staff this time of year. The City of Mar­i­on wish­es you a hap­py and safe Thanks­giv­ing holiday!